YOU might have noticed that I’ve mentioned having work done on our kitchen once or twice (okay a lot of times) over the past few months. Well in December we did something very exciting and finally signed for our Ikea kitchen! This was on our five-year plan when we bought our home, and as we exchanged on May 4, 2012 we’re right on schedule. 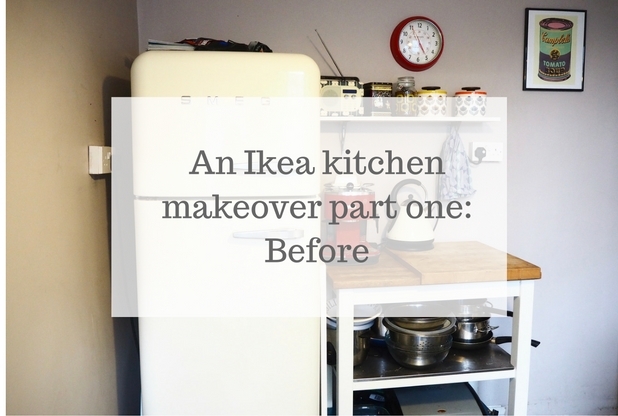 To say I’m excited would be an understatement, and I thought that before I share photos of our shiny new Ikea kitchen / dining room I’d post some before pics to show just why we were so desperate to get the work done. 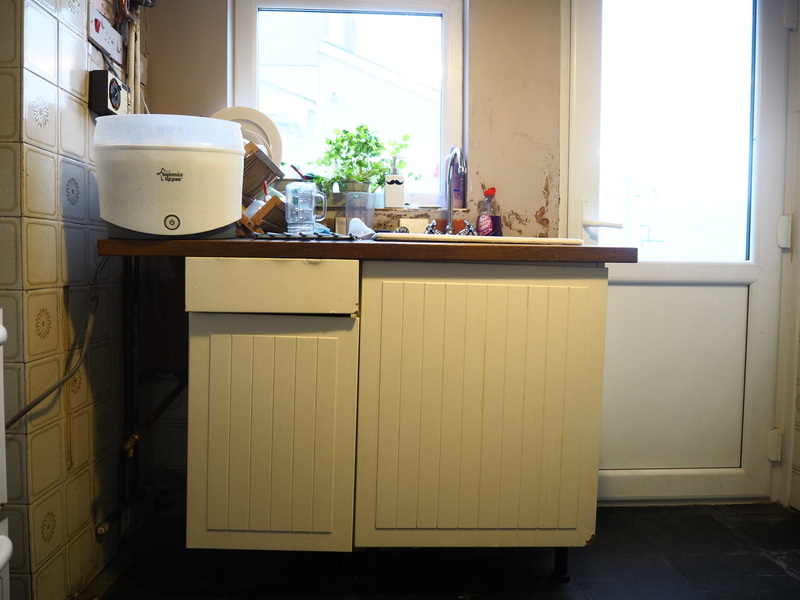 Somehow when we bought the house we did’t notice that there wasn’t enough room for a fridge in the kitchen – a massive oversight – and we had to rip out all the old units (they were terrible anyway) and put in a new sink cupboard, cooker and a small worktop trolley from Ikea as a temporary measure. 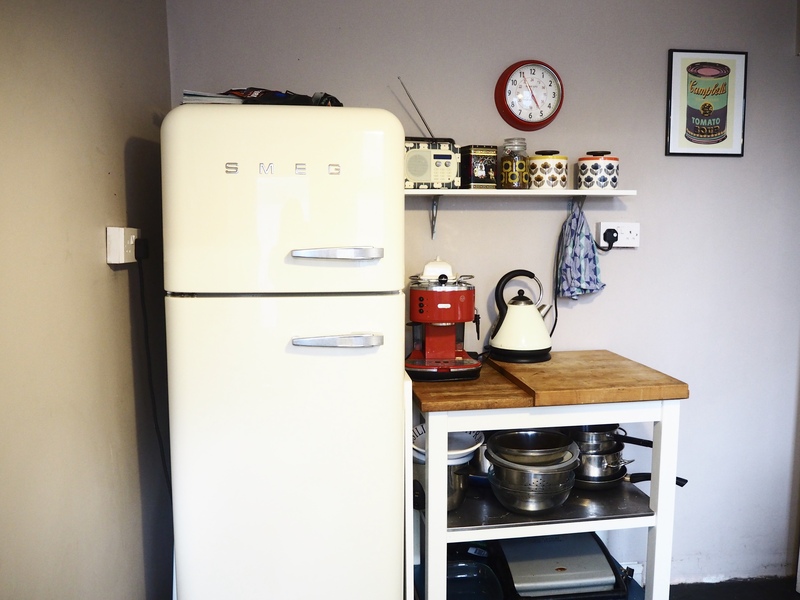 That made space for our lovely new Smeg fridge. The room is tiny, and the layout made it difficult to plan a new layout. There’s a weird alcove, the window and back door on one wall, and the door to the pantry on the other. We originally planned to knock some walls through to make our current kitchen bigger, but the building work was going to cost more than our entire budget, so we had to rethink. We popped to Ikea to have a look at their kitchen range, thinking maybe we’d pop a couple of new units in as another temporary solution, and found out that they have a planner service, where they send someone out to take measurements and come up with a plan they think would work. 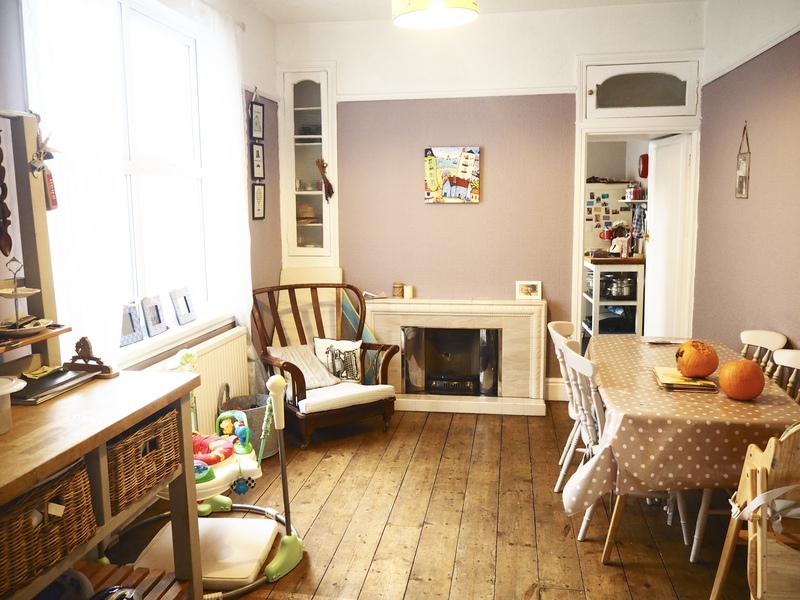 The downstairs of our house has four rooms – the living room, playroom, dining room and kitchen, with a pantry attached. There are then two outside sheds, one of which has our washing machine in. Our Ikea planner had a look around and asked if we’d thought about moving the kitchen into the current dining room, and creating a utility room at the end of the house. It wasn’t something we’d considered, but the more we thought about it, the more it made sense. 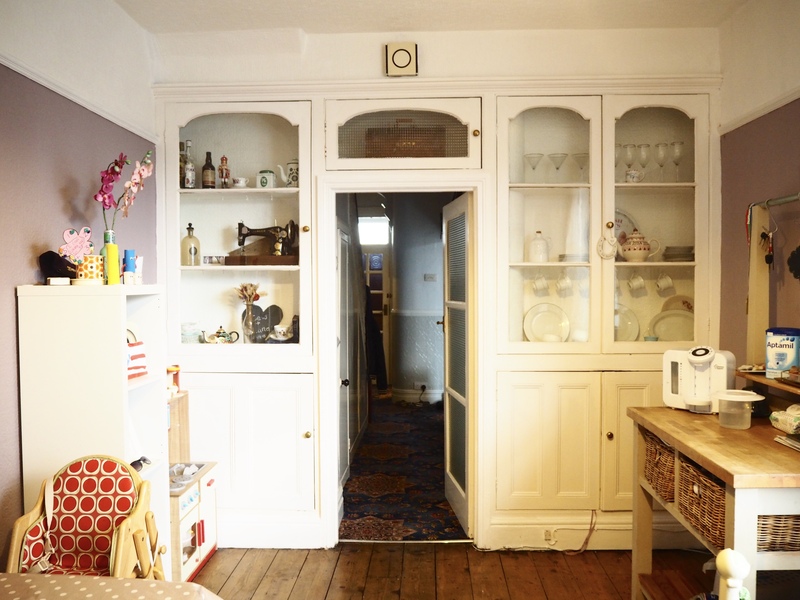 We’d use our dining room a lot more, we could move the washing machine inside, and we’d have way more storage and worktop space. This is the only vaguely presentable area of the kitchen. 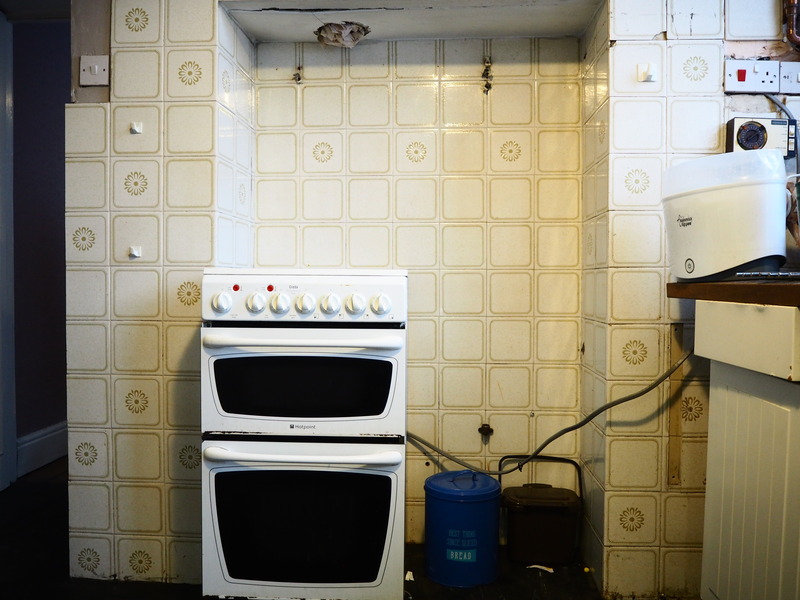 It’s also our only worktop space, which makes preparing food a bit of a nightmare. The kettle and coffee machine take up a lot of space, and we had to put a shelf in for our teabags, coffee and sugar. This is the weird little alcove area, and the original tiles which we never got around to replacing. We took the boiler out and had a new one put in the airing cupboard to free up some space. We’re having cabinets put in here so we’ll actually have some storage space other than the pantry. The sink area makes me so sad – it’s just gross. We didn’t think properly about it when we put the unit in, and the wooden top has absorbed water from the draining board so it’s warped and impossible to clean. Water has dripped onto the cutlery drawer, which is now so swollen it won’t shut. We’ll have a new sink in here, with a laminate worktop and a proper draining board to avoid the same problem. 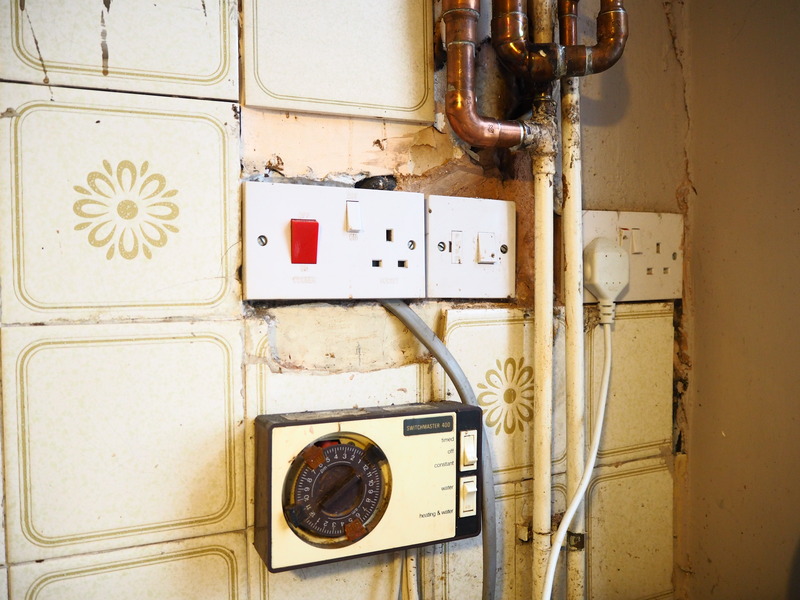 The plugs to the side of the sink will be plastered around to make them neater, and the old heating switch has been taken out. 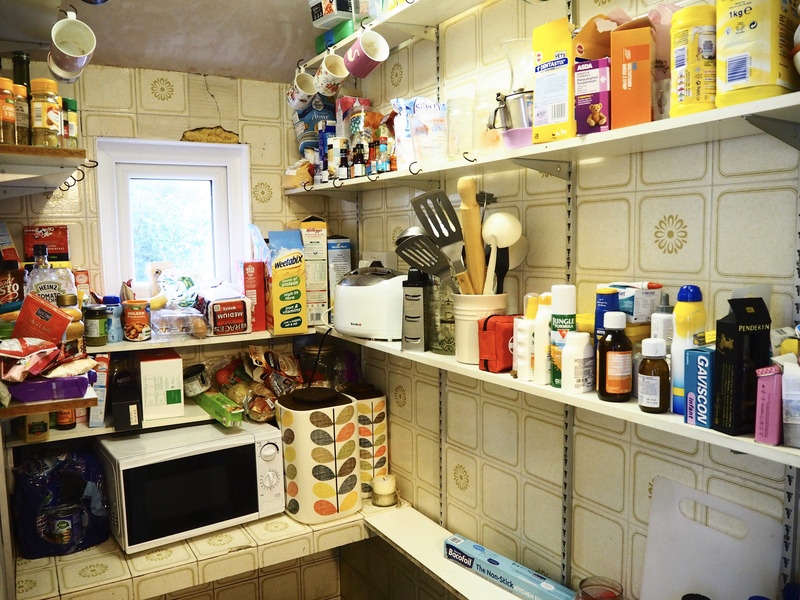 This is our pantry, and the only space we have to store food … it’s a bit of a shambles! We plan to put new, wider shelves in just along one side, and I’m trying to convince Stew that a blackboard wall would look nice on the other side. 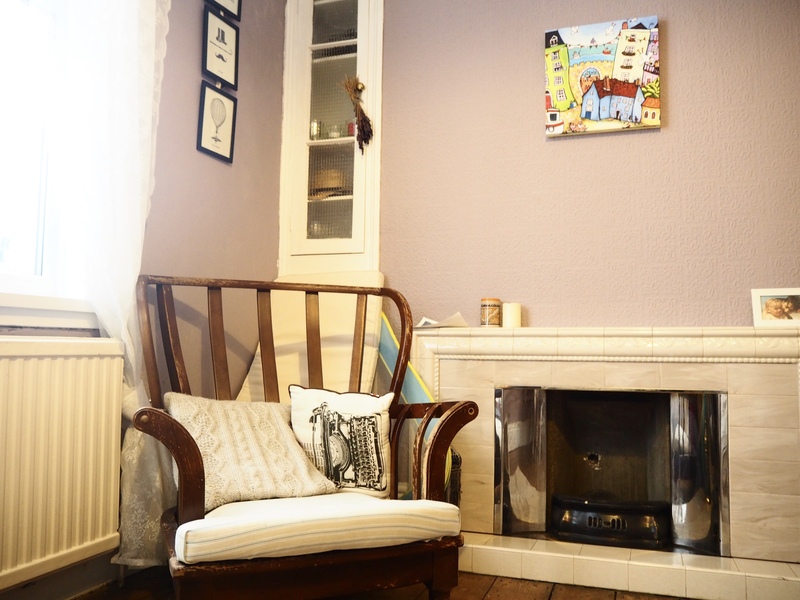 The fireplace has now gone! This will now be a more open plan kitchen / dining room, which is something we wouldn’t have thought to do. The cooker will be along the wall where the fireplace was, the sink will be by the window, and we’ll have a small breakfast bar where the butchers block is, which I’m very excited about! 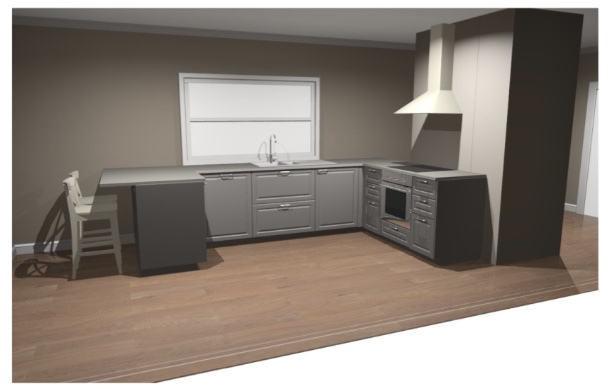 We’ve chosen grey Bodbyn units, which hopefully will fit with the old style of the fitted cupboards, which we’re keeping, and we’re splashing out on granite worktops to give the room a more polished feel. We’ve made some progress on the preparation work and will have the units and things delivered next week ready to put in, so I’ll post an update showing how it’s coming along before everything is fitted.